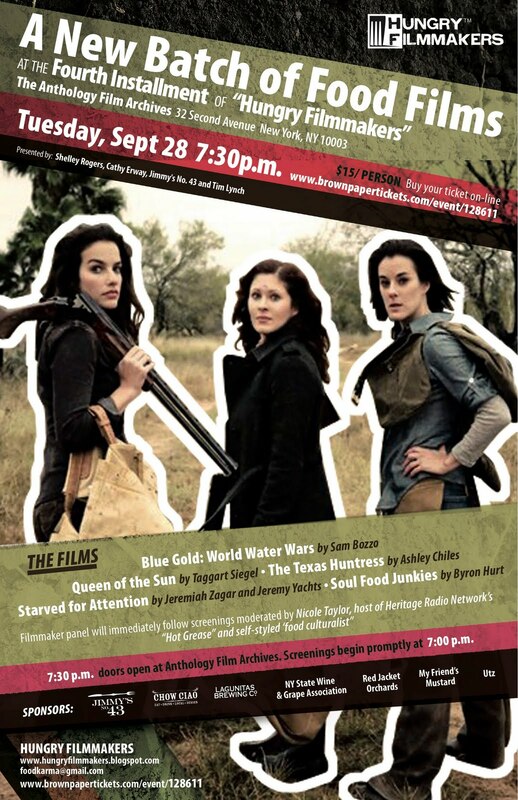 Hungry Filmmakers is a film screening series featuring the efforts of food-conscious filmmakers. 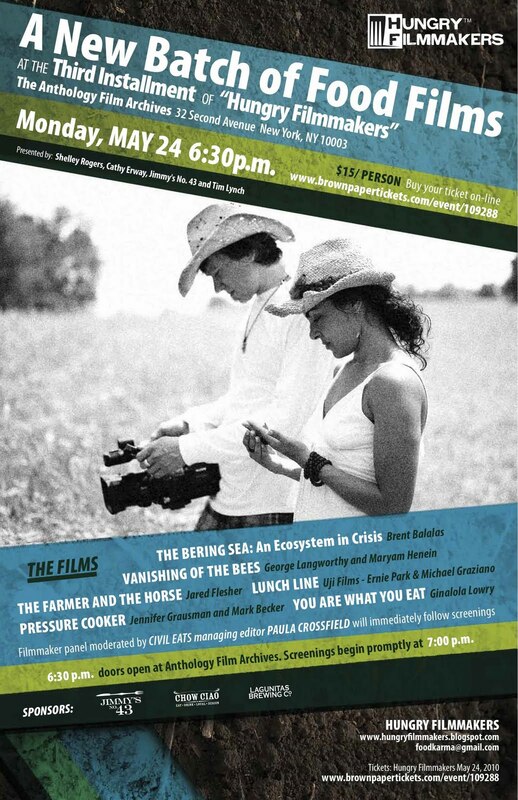 Co-hosted by Jimmy Carbone, Cathy Erway, Shelley Rogers, and Tim Lynch, the series features excerpts of new films about food, followed by a panel discussion and party. Recent selections have included Big River (the sequel to King Corn), Grown in Detroit, Fresh, and End of the Line. What kind of city can we build when food and green building join forces? Although food—a basic human need—is reliant on infrastructure for its production, transportation, and consumption, there is a dearth of collaboration and discussion between the worlds of green building and food. Green Rabbits pulled ahead of the curve and created a forum for this overlooked intersection. 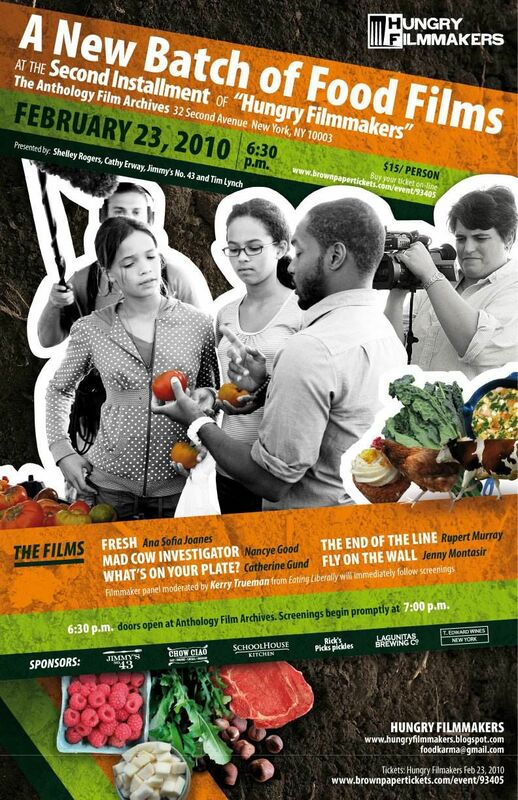 Two events, co-hosted by City Bakery and the US Green Building Council of New York, generated dialogue between professionals from the green building world and small-scale innovators from the food and agriculture sector of the city. 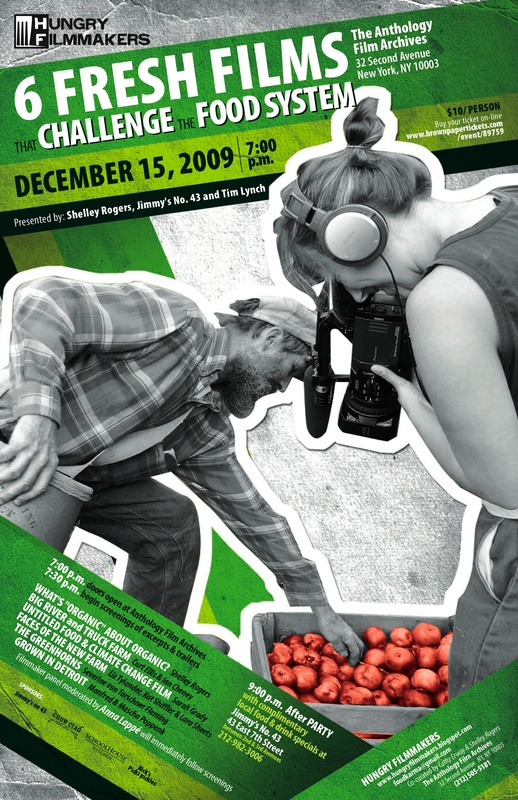 The events leveraged the powers of storytelling and gastronomic delight to open up spaces for organizations like the Green Building Council to become more engaged with community-based, food-centered innovation. Locally-sourced meals were served to about 150 attendees. The tables held centerpieces made of food-related storytelling devices. 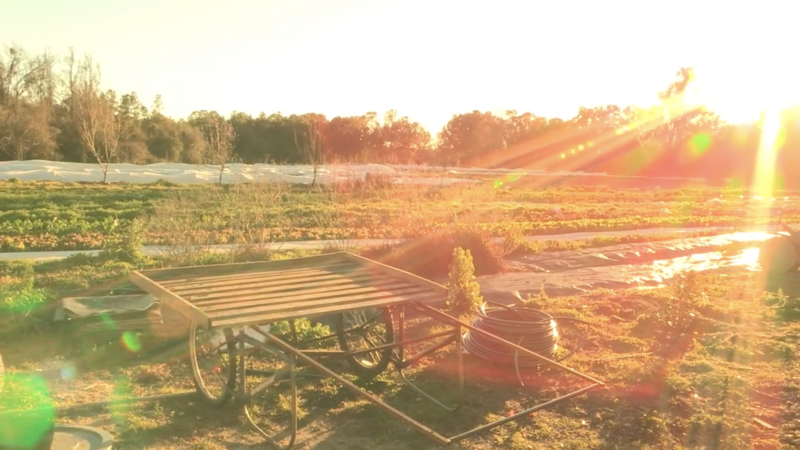 While eating each course of the meal, food producers and purveyors shared stories that imbued the meal with meaning and highlighted potential relationships between the green building world and food producers. For example, as participants sampled oysters grown by Mike Osinski, whose oysters are grown on Long Island to encourage regeneration of the bay, they learned about his vision of complementary infrastructure and food systems. Osinski dreams of seeing the Long Island Railroad, whose purpose in the 19th century was to carry food into the city, become a cold car for Long Island food producers–who now truck their food into the city, emitting carbons and adding to traffic congestion. At the second meeting of Hungry New York, a number of participants from the first event requested to become collaborators, including landscape architect Kate Bakewell and green regional planner Tom Yost. For this meeting, we teamed up with professional storyteller Terence Mickey, who helped draw out the intersection between infrastructure and food through the craft of telling stories. With Terence, the Rabbits held a series of preliminary brainstorming sessions over dinners at Bobo Restaurant and Jimmy’s No. 43. These enjoyable and productive sessions opened people up and created a sense of community among collaborators.